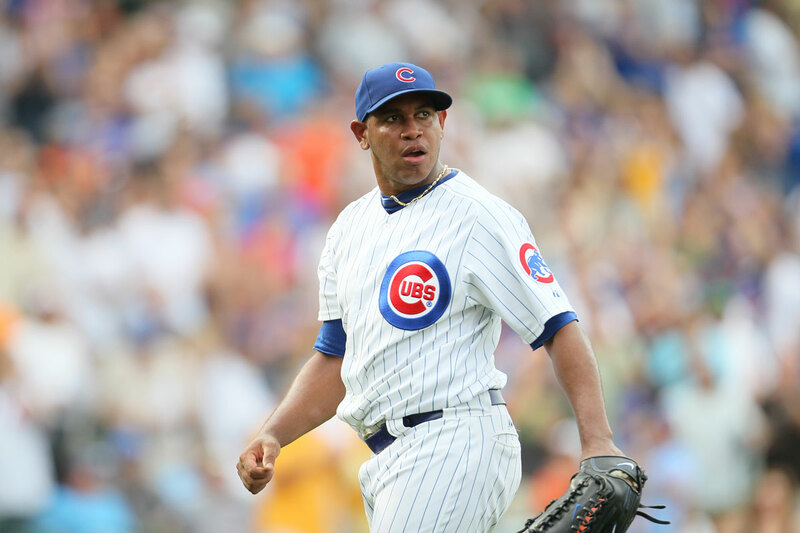 Per a report, Carlos Marmol has been accused of domestic violence, no charges as of yet. These stories are tricky as I’m sure multi-million dollar athletes are the target of blackmail and extortion all the time, so obviously we should wait to hear some details before claiming Carlos Marmol is a woman beater. Remember last year during the off-season when Starlin Castro was also accused of assault, details were sketchy at the time of that event as well and turned out to be nothing. Domestic violence is not a joke, and should not be joked about so I really hope this is just a story of someone trying to get rich quick instead of Marmol being despicable. The report is coming out of the Dominican Republic and names a 24-year-old defendant in the claim. Here is the full story, in Spanish if you would like to read it over, I can’t, at least not all of it. There has not been a statement from Marmol or the Cubs about this story but I’m sure that once it starts making the rounds, like it is currently doing, the team will be forced to address it. With all of that said, players do share responsibility to put themselves in better situations, like Castro last year. It’s an assumed risk of being a ballplayer, like I said, hopefully there is no weight to this claim and it will be non news once again, as soon as details emerge I’ll pass them along. It’s good to finally have some substantial news about the Cubs on the field, as today the Cubs announced their 2013 Spring Training Broadcast schedule. Overall the Cubs will televise six games this spring, and a majority of the games can be listened to on WGN Radio or at Cubs.com, full details below..
via BleacherNation.com, Brett supplied the notes, thanks Brett! After not getting what he wanted from the Mets (2 years, $8 million) Scott Hairston found a deal he liked on the North Side. Ken Rosenthal was first to report that the Cubs agreed to a two year deal with Hairston, and Bruce Levine later confirmed that the deal could be for two years and six million dollars. It’s a tremendous signing if those numbers hold true as Hairston can play any outfield position and is a nightmare for left handed pitchers, which Cubs teams have struggled with in the past. The Cubs have been in the market for a right handed bat for some time, and this signing quenches that thirst for the Cubs, Hairston will be in the mix with the likes of Schierholtz and possibly Sappelt as situational players, spot starts and coming off the bench so to speak. We feel obligated to post about this, why? I’ll tell you. Our two obsessions are Pearl Jam and the Cubs. The name of our blog is from the following lyric from the Pearl Jam song “Bu$hLeaguer”…. 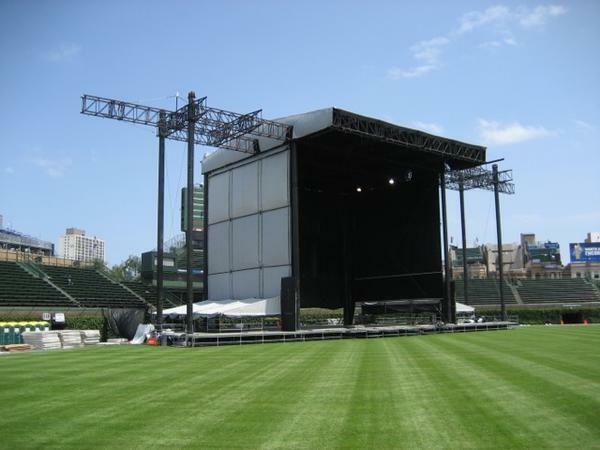 “Born on Third, thinks he got a triple.” So the news this afternoon that was floating around Twitter that Pearl Jam will be coming to Wrigley is blowing our minds. As we inch closer to Spring Training, and camps opening, this is the cherry on top. Not to mention I’m feeling better so the blogging is about to kick back into full gear so be prepared!! Any way, there are no confirmed details yet, but the picture that the official Pearl Jam Twitter site posted 20 minutes ago says it all.. We will keep you posted. Per a Jon Heyman report the Cubs have signed Dontrelle Willis to a minor league deal. Yes, THAT Dontrelle Willis, per Heyman, Willis will be participating in Minor League camp, but if he is throwing the ball well he will get a shot in the Major League camp. Another no lose situation here for the Cubs, Willis, who is only 31 might have some innings left in that arm, the only issue is finding the plate physically and mentally. Needless to say it’s another intriguing story heading into 2013. Spring is in the Air? Spring Training Tickets Go on Sale Tomorrow! Hey everyone, sorry for the delay between posts, spinal fusion really taking up all of my time. Enough about me, just wanted to post to let you know that Cubs Spring Training tickets go on sale tomorrow on Cubs.com. I know it doesn’t feel like it in Chicago today with the temperature but Cubs baseball is rapidly approaching, and it all starts with the party that is Spring Training in Mesa. Tickets go on sale at 10AM CST, here is a direct link right to the page to purchase tickets. Sun, February 24 – San Francisco Giants – 1:05 p.m.
Tue, February 26 – Colorado Rockies – 1:05 p.m. Wed, February 27 – Los Angeles Dodgers – 1:05 p.m.
Thu, February 28 – Oakland Athletics – 1:05 p.m.
Fri, March 1 – Arizona Diamondbacks – 1:05 p.m.
Sun, March 3 – Milwaukee Brewers (ss) – 1:05 p.m.
Mon, March 4 – Cleveland Indians – 1:05 p.m.
Thu, March 7 – Chicago White Sox – 1:05 p.m. Sat, March 9 – Cleveland Indians – 1:05 p.m.
Sun, March 10 – San Diego Padres – 1:05 p.m. Wed, March 13 – Colorado Rockies – 1:05 p.m. 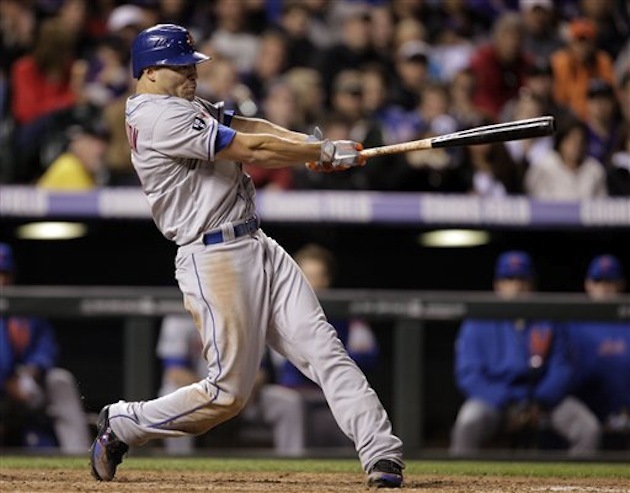 Sat, March 16 – Kansas City Royals (ss) – 1:05 p.m.
Tue, March 19 – Texas Rangers – 1:05 p.m. Sat, March 23 – Los Angeles Angels of Anaheim – 1:05 p.m.
Mon, March 25 – San Francisco Giants – 1:05 p.m.
Tue, March 26 – Cincinnati Reds – 7:05 p.m.
Thu, March 28 – Seattle Mariners – 12:05 p.m. Author bornonthirdcubsPosted on January 3, 2013 January 3, 2013 Categories 2013 Spring TrainingTags Chicago Cubs 2013 Spring Training Schedule, Chicago Cubs Spring Training 2013, Cubs Spring Training Tickets, Ho Ho Kam Park, Where to buy Cubs Spring Training TicketsLeave a comment on Spring is in the Air? Spring Training Tickets Go on Sale Tomorrow!